Come fishing with us this year! 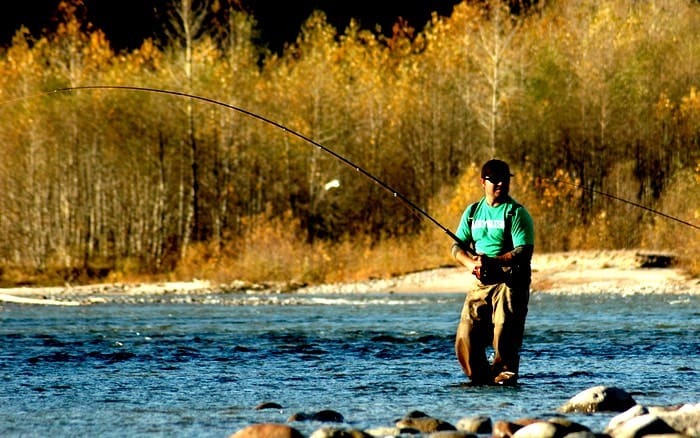 The months of October and November are our two best for Fall fly fishing trips close to Vancouver. Starting in late September, chum and coho salmon move into our local rivers and we offer both guided day trips from Vancouver (and Whistler!) 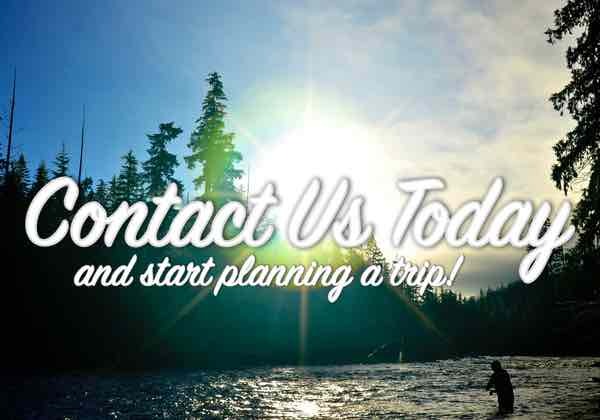 as well as multi-day Fall salmon fishing packages, with accommodations minutes from the river. 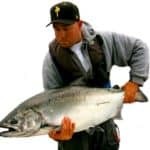 If you’re in the Vancouver area and looking for a superb fly fishing trip, then come hang with the Chromer Sport Fishing crew and we’ll put you into some beautiful surroundings on the hunt for big chum salmon and shiny bright cohos. Here’s a short video and feature we did showcasing our Fall fly fishing trips with The Fly Fish Journal. 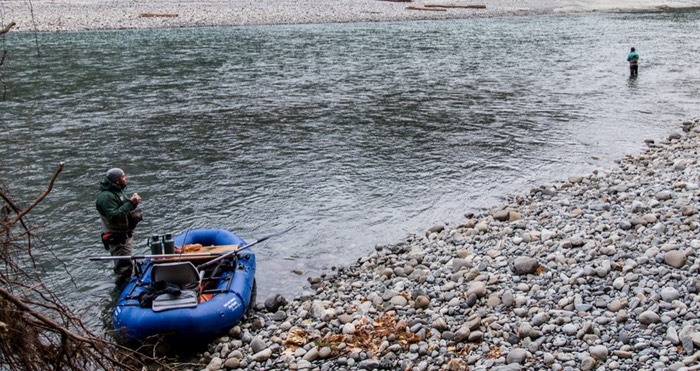 You’ll be fishing on the Squamish River system, a wild series of coastal rivers located about an hour north of Vancouver, about 45 minutes south of Whistler. 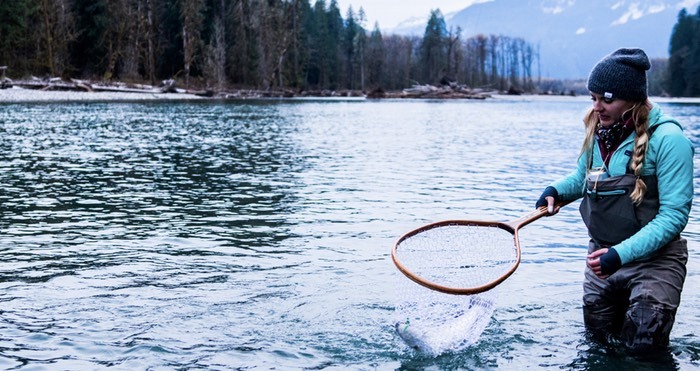 The Squamish River and its tributaries drain an area of about 3300 square kilometres and is home to chinook (king), coho (silver), chum and pink salmon, as well as a variety of trout species included bull trout, rainbow trout, cutthroat trout and even steelhead in the Spring months. 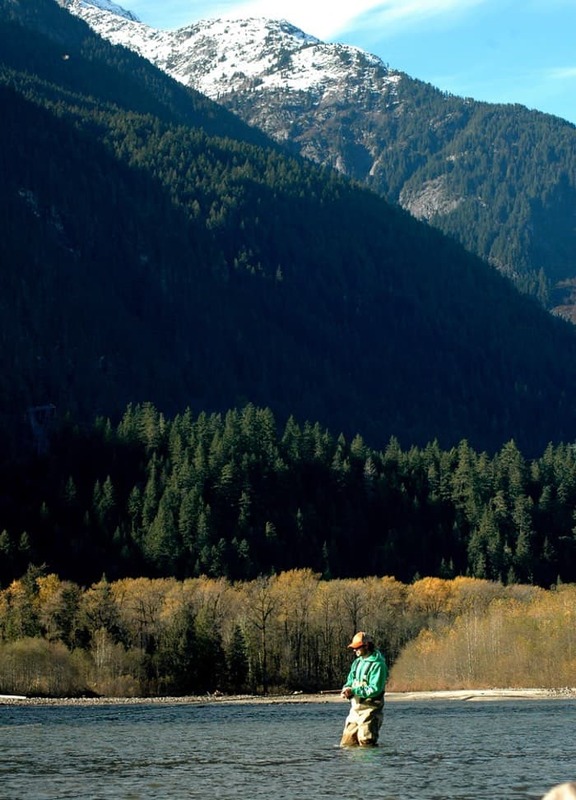 During the Fall months our focus is fly fishing for chum and coho salmon. On odd years (2019, 2021, etc.) 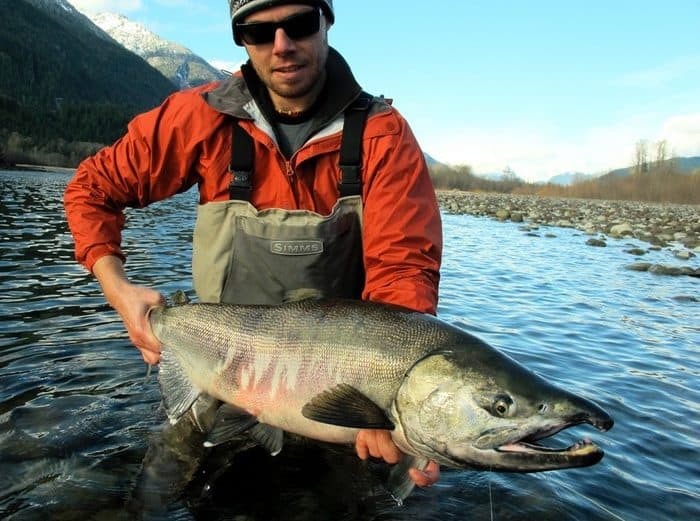 the Squamish River has a run of pink salmon, that usually begin showing themselves in the river come late July. Our style of Fall fly fishing is focused on using two handed spey rods, not problem if you haven’t done this style of fishing before, you’ll be in good hands and we’ll teach you the ropes quickly. It is a great way to fish, and allows us to target larger areas of water with bigger flies for bigger fish! If you’re on a multi-day Fall fly fishing trip with us you can also enjoy some trout fishing, generally we use single handed conventional fly fishing setups for trout fishing, using small egg and flesh patterns as resident trout are feeding on the remnants of the salmon runs. 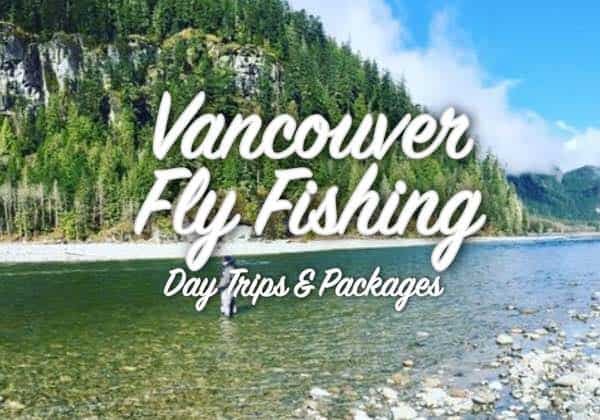 Our guided fly fishing trips will have you fishing with our excellent crew of the most experienced Vancouver fly fishing guides. 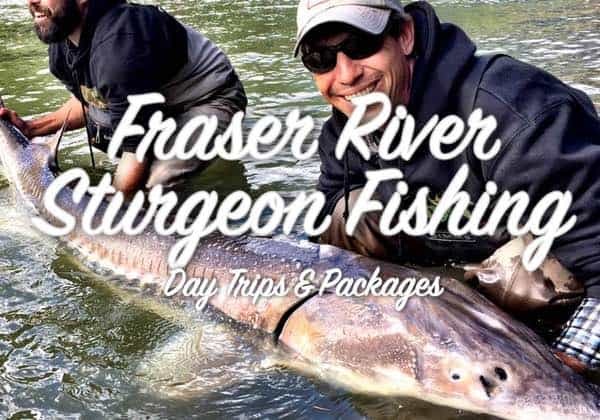 Trips include pickup in Vancouver, all fly fishing gear, wading equipment and are eight hours in length. Not included are fishing licenses and lunch, we’ll let you know how to get both those when you book. If you’d like a Fall salmon fly fishing package we do still have some prime fishing dates for the 2018 season. 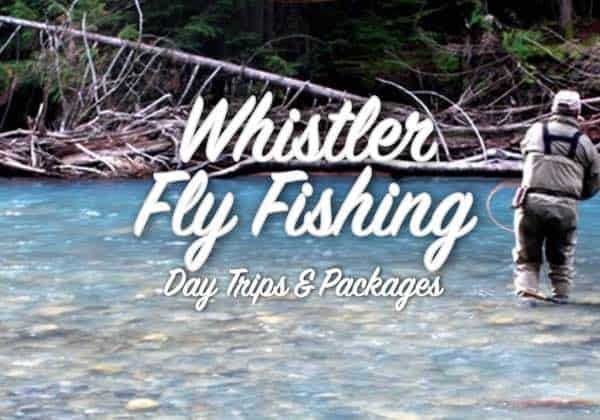 Packages include pickup in Vancouver and transportation to Squamish, accommodations in Squamish and days of guided fly fishing. 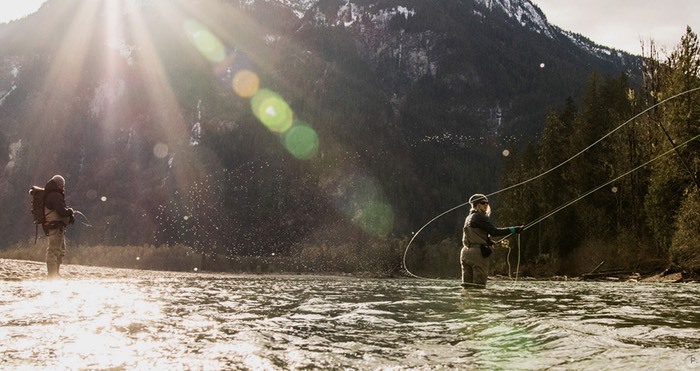 These are flexible fly fishing packages built to suit your timing and budget. Remember our prices are in Canadian Dollars, so if you’re coming from the US to fish with us, you’re saving between 25-30% on our CAD pricing! If you’re looking for a salmon fly fishing trip, then October and November are prime dates for coho and chum salmon fishing with us. 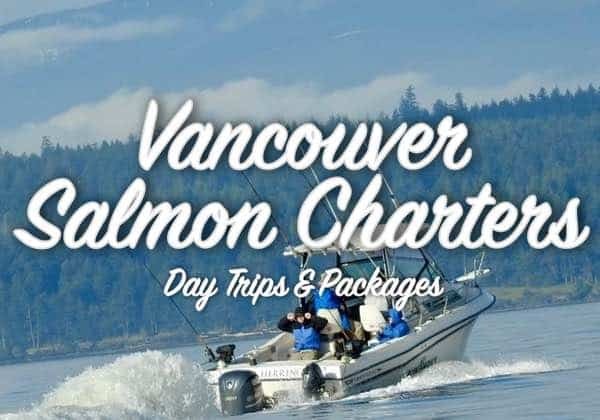 For more information visit our page Vancouver fly fishing trips or email the office chromersportfishing@gmail.com or call toll-free 1-877-902-3393 to book.